[INQ. NO. 1508E07] Since its establishment in 1998, Ahrong Eltech has been developing and exporting a variety of skincare devices. 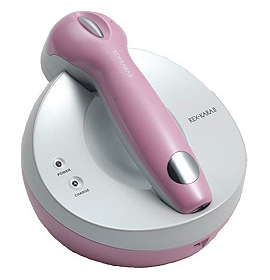 The flagship product of the company is skincare massagers using ultrasound. The massagers can be used for face and body. And the massagers have an effect of deep cleansing, anti-wrinkle, elasticity and fat burning (dietary effect). Also the company’s massagers have functions of Ion, far-infrared ray, germanium and color therapy. It has been exporting its products to the U.S.A, Japan, Malaysia, Hong Kong, Germany, Thailand, etc. Recently the company launched a smart skin analyzer called “Epi,” a battery-free beauty product that can be plugged into the earphone console of a smartphone. 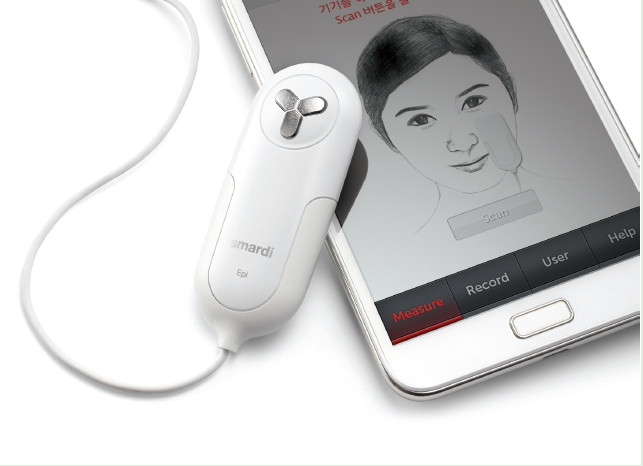 It is a device that measures the skin moisture level that affects wrinkles and aging. Its application provides feedback that is age appropriate and relevant to various skin conditions. Most importantly, it is a portable item. “Currently our globally competitive items are being delivered to more than 30 foreign nations including France, Germany, Malaysia, etc. This means our products’ technology is worthy enough to be highly esteemed among customers in those areas. Now, 70% of our entire sales are generated from exports,” the company’s presidentsaid. It has been awarded prizes over 10 times in the various inventions fairs and obtained two patents and several utility models as an alumni company of the KAIST AVM. Also, it has been expanding the business scope as a technology-intensive venture company by acquiring the international standards certificates such as ISO9001/14001, CE, GOST, and PSE. [INQ. NO. 1412E06] Since its establishment in 1998, Ahrong Eltech has been developing and exporting a variety of skincare devices. The company has acquired a number of patents and utility models based on innovative ideas and technology. Also, it obtained such international standard certificates as ISO9001, CE, GOST, PSE, etc. “We won’t stop our unremitting efforts to develop new products. We will always strive to produce the best products to hold a competitive advantage in the global market,” said a spokesperson of the company. 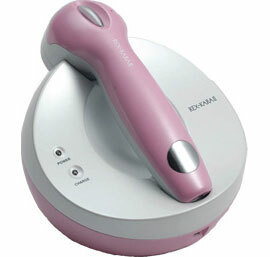 The flagship product of the company is skincare massagers using ultrasound. The massagers can be used for face and body. And the massagers have an effect of deep cleansing, anti-wrinkle, elasticity and fat burning (dietary effect). Also the company’s massagers have functions of Ion, far-infrared ray, germanium and color therapy. It has been exporting its products to the USA, Japan, Malaysia, Hong Kong, Germany, Thailand, etc. Recently the company launched a smart skin analyzer called “Epi,” a battery-free beauty product that can be plugged into the earphone console of a smartphone. 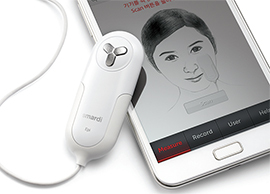 It is a device that measures the skin moisture level that affects wrinkles and aging. Its application provides feedback that is age appropriate and relevant to various skin conditions. Most importantly, it is a portable item. “We have three mottos as our management philosophy: “Devoting human resources,” “Developing technology,” and “Establishing a challenging and flexible corporate culture of the 21st century.” Since 1998, we have been growing as a venture company with a solid foundation for growth,” the spokesperson added. “We have managed to expand our business with wide coverage from domestic to overseas markets amidst stiff competition with other companies during the rapidly changing domestic and international economic conditions over the past 10 years,” said Kim Jin-gug, head of the company when he was asked what kinds of driving forces existed behind such an impressive business performance within a comparatively short time. “Currently our globally competitive items are being delivered to more than 30 foreign nations including France, Germany, Malaysia, etc. This means our products’ technology is worthy enough to be highly esteemed among customers in those areas. Now, 70% of our entire sales are generated from exports,” he explained. The maker has been awarded prizes over 10 times in the various inventions fairs and obtained two patents and several utility models as an alumni company of the KAIST AVM. Also, it has been expanding the business scope as a technology-intensive venture company by acquiring the international standards certificates such as ISO9001/14001, CE, GOST, and PSE. [INQ. NO. 1408E03] Since its establishment in 1998, Ahrong Eltech has been developing and exporting a variety of skincare devices. The company has acquired a number of patents and utility models based on innovative ideas and technology. Also, it obtained such international standard certificates as ISO9001, CE, GOST, PSE, etc. “We won’t stop our unremitting efforts to develop new products. We will always strive to produce the best products to hold a competitive advantage in the global market,” said a spokesperson of the company. The flagship product of the company is skincare massagers using ultrasound. The massagers can be used for face and body. And the massagers have an effect of deep cleansing, anti-wrinkle, elasticity and fat burning (dietary effect). We have managed to expand our business with wide coverage from domestic to overseas markets amidst stiff competition with other companies during the rapidly changing domestic and international economic conditions over the past 10 years,” said Kim Jin-gug, head of the company when he was asked what kinds of driving forces existed behind such an impressive business performance within a comparatively short time. [INQ. NO. 1312E36]Since its establishment in 1998, Ahrong Eltech has been developing and exporting a variety of skincare devices. The company has acquired a number of patents and utility models based on innovative ideas and technology. Also, it obtained such international standard certificates as ISO9001, CE, GOST, PSE, etc. The spokesperson of the company said “We won’t stop our unremitting efforts to develop new products. We will always strive to produce the best products to hold a competitive advantage in the global market. The flagship product of the company is skincare massagers using ultrasound. The massagers can be used for face and body. And the massagers have an effect of deep cleansing, anti-wrinkle, elasticity and fat burning(dietary effect). Also the company’s massagers have functions of Ion, far-infrared ray, germanium and color therapy. It has been exporting its products to the USA, Japan, Malaysia, Hong Kong, Germany, Thailand, etc. Recently the company launched a smart skin analyzer called “Epi.” The Epi is a battery-free beauty product that can be plugged into the earphone console of a smartphone. 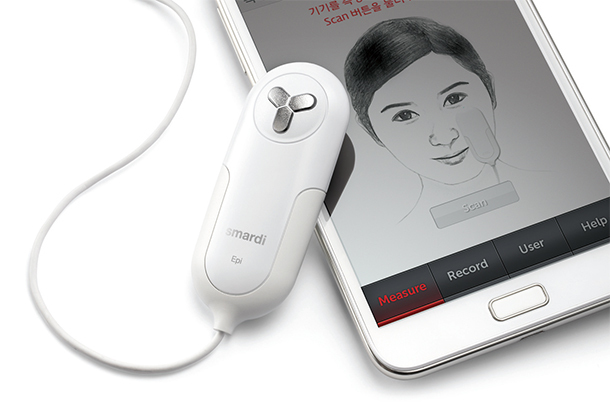 It is a device that measures the skin moisture level that affects wrinkles and aging. Its application provides feedback that is age appropriate and relevant to various skin conditions. It is a portable item. foundation for growth. We have managed to expand our business with wide coverage from domestic to overseas markets amidst stiff competition with other companies during the rapidly changing domestic and international economic conditions over the past 10 years,” said Kim Jin-gug, head of the company when he was asked what kinds of driving forces existed behind such an impressive business performance within a comparatively short time. The maker has been awarded prizes over 10 times in the various inventions fairs and obtained two patents and several utility models as an alumni company of the KAIST AVM. Also, it has been expanding the business scope as a technology-intensive venture company by acquiring the international standards certificates.